The battle over affirmative action is heating up again after the Trump administration said it would urge universities and school districts to be race blind when making student enrollment decisions, according to news reports, and Justice Anthony Kennedy’s retirement means the court could shift farther to the right. In this story, we explore how affirmative action works at University of Texas at Austin, which successfully defended its system in a 2016 Supreme Court case. In 2008, two young women with similar academic records applied to the University of Texas at Austin for spots in the freshman class. One of the women, Abigail Fisher, was rejected. The other, Tedra Jacobs, was accepted. Fisher is white. Jacobs is black. Fisher sued, saying the university’s admission process was discriminatory. Now, her case is before the Supreme Court, which will hear arguments today. The decision, which may be issued as late as next summer, could set new limits on the use of racial preferences in higher education, or even ban affirmative action outright. The court’s decision in Fisher v. University of Texas could deal a major blow to efforts to promote racial diversity in education. In a 2007 decision, the court already significantly restricted the use of race in elementary and secondary school assignments; now, only a handful of districts around the nation actively attempt to integrate their schools, and racial separation in schools is back to levels not seen since the 1950s. The decision to take up the Fisher case suggests the justices may be willing to reverse precedents in a 2003 University of Michigan case and the 1978 Bakke decision, which both upheld the use of race in college admissions. The case has revived long-simmering battles over whether racial preferences are good or bad policy. Proponents of affirmative action say limiting preferences could be devastating for non-white students, who have made strides in achievement in recent years—including big increases in higher education enrollment and smaller increases in graduation rates—and could see their representation in elite schools plummet. (Affirmative action is an issue mainly for the nation’s top schools, where competition for spaces is more intense than for lower-tier institutions.) They cite dozens of studies supporting their cause, including a 2000 book-length study by the former presidents of Harvard and Princeton, and examples like California, which banned affirmative action and experienced major drops in the number of minorities at the state’s flagship institutions. Their opponents cite some new evidence suggesting that affirmative action programs may actually harm the students they were created to help. Their main concern is the problem of “mismatch,” a theory that argues affirmative action allows many black and Hispanic students access to elite schools despite lower test scores, where they then suffer as they struggle to compete with their white and Asian peers. A recent Atlantic piece by Richard Sander and Stuart Taylor Jr. argued that after California’s ban, graduation rates for black students actually doubled — suggesting that the students admitted under affirmative action hadn’t been a good “match” for the challenging California system. The return of affirmative action to the national spotlight also raises a larger question: Are the nation’s top higher education institutions actually producing a set of new leaders who represent America’s increasing racial and ethnic diversity? Or, put more simply, are they doing all they can to improve outcomes for disadvantaged minority students? While much evidence suggests black and Hispanic students perform better if given a chance to go to competitive schools, they still lag behind white and Asian peers on critical measures like graduation, even at the best colleges. If those numbers don’t change, it may be a long time before the faces of the nation’s elected officials, business executives, and university faculties mirror the rest of the population. The University of Texas has partly defended itself in the Fisher case by arguing that Abigail Fisher’s test scores and grades were too low for her to be eligible for admission, even if she had impressed the school with personal characteristics like leadership or perseverance in the face of adversity. But Fisher, who was rejected, and Jacobs, who got in, were similarly positioned when it came to academics. Both Fisher and Jacobs attended well-regarded suburban high schools in Houston, earned good grades, and graduated near the top of their classes, although Jacobs’ SAT score was nearly 100 points higher than Fisher’s. The SAT points likely made a difference, but Jacobs was admitted on a probationary basis—which required her to attend a summer program before her freshman year—suggesting the university wasn’t completely satisfied with her academic background. Jacobs’ racial and economic background fit other criteria the university wanted as it tried to build a diverse freshmen class, however. Fisher grew up in a two-parent, middle-class home, according to Edward Blum, an affirmative action opponent and family friend of the Fishers, who have avoided the news media. Both of her parents graduated from UT. Jacobs, in contrast, grew up poor, the daughter of an African-American single mother, in a family in which no near relations had graduated from college. Before she entered kindergarten, her mother joined a scatter-site housing program for low-income families that helped them to rent a home in the suburbs. Jacobs’ siblings had attended struggling inner city schools, where most of their fellow students were also black and poor. Her older sister dropped out of college and got pregnant; her older brother went to jail. Perhaps if she had received more guidance about how to succeed academically, she would have been automatically admitted to her top choice school, UT-Austin. After a 1996 court decision banned affirmative action in the state, Texas legislators found a more roundabout way to boost racial diversity at the state’s public universities. They passed a law in 1997 requiring schools to guarantee admission to the top 10 percent of the graduating class at every public high school in the state. Given the extreme racial segregation in Texas secondary schools, this resulted in a fairly diverse class of freshman each year. The university was unsatisfied with the legislature’s substitute for direct racial preferences, however, saying the level of diversity the percent plan produced was not sufficient. 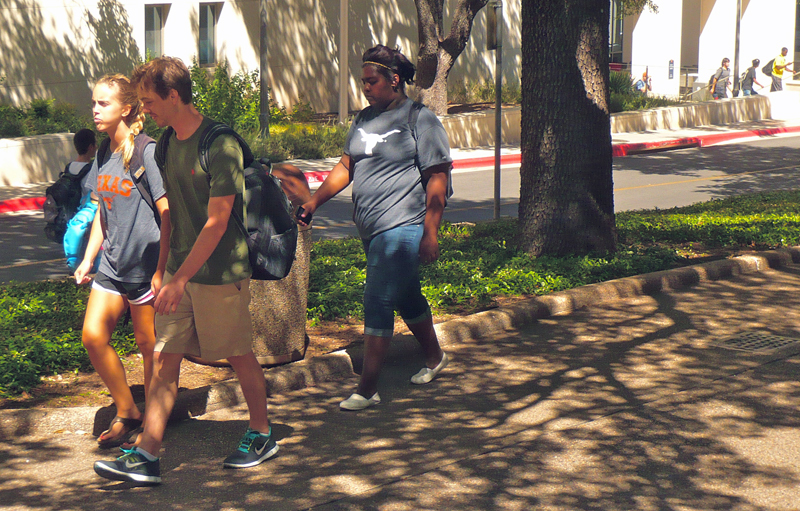 In 2011, only a quarter of UT-Austin’s students are underrepresented minorities, while the state as a whole is 50 percent black and Hispanic. But UT-Austin’s black and Hispanic enrollment is up from 15 percent in 2001. The university further revamped its admissions process after a 2003 Supreme Court case found that universities could consider race as long as it was a small factor among many in a “holistic” admissions system. The vast majority of applicants continued to be admitted under the 10 percent program; for the remaining group, admissions officers added race back to a list of considerations that also included involvement in clubs and student government. 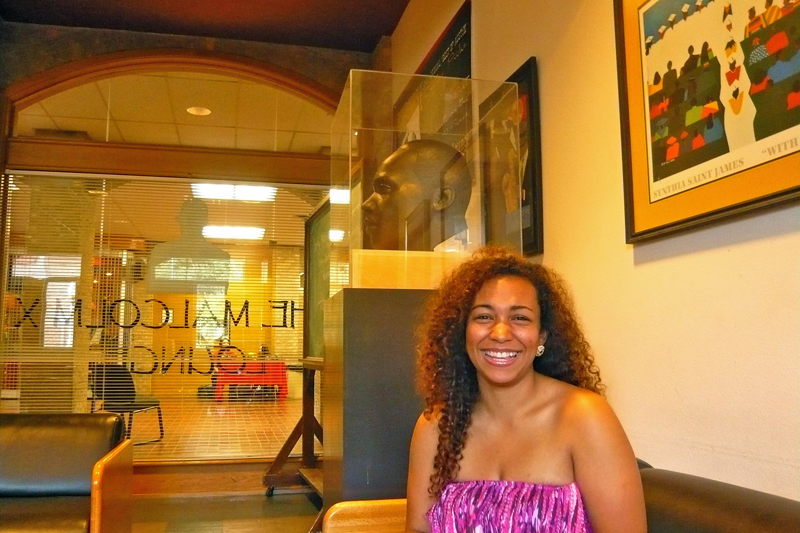 Jacobs has maintained her impressive academic record at UT-Austin. She is staying on an extra year to complete pre-med requirements as she finishes her double major in African-American studies and economics. Jacobs’ story offers evidence that affirmative action can open doors that might otherwise be closed to minority students, but it also begs the question of whether her success is the exception or the rule. Since then, researchers have been busy producing new, better-designed studies that bolster this finding. 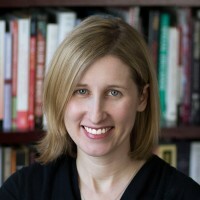 A legal brief signed by national groups – including the American Educational Research Association (AERA), the American Statistical Association, and the American Sociological Association – cited more than 50 studies published since 2003 supporting the idea that “diversity leads to important educational benefits,” according to the brief. Research has found that both white and nonwhite students at schools with diverse populations become better critical thinkers, less prejudiced individuals, and better citizens who are more likely to volunteer or give to charities. Proponents of affirmative action most often cite data showing that black and Hispanic students tend to perform better if they enroll in more, rather than less, selective institutions—suggesting that racial preferences that give minority students access to top schools they might not otherwise get into actually propel them ahead. A small but vocal minority has seized onto such data over the last decade. “The guys who are arguing that mismatch is a hoax are being dishonest,” says Richard Sander, who is a law professor at the University of California-Los Angeles and one of the main proponents of the theory. Sander’s own research on mismatch has been called into question by his peers—including several nationally prominent statisticians who submitted a brief to the Supreme Court this year devoted almost exclusively to picking apart his work. But Sander has also mustered the work of others to support his argument that minorities are harmed by affirmative action as now practiced. He signed up for several tough classes his first semester—microeconomics, business foundations, introduction to psychology, and rhetoric. Within weeks he was failing. “I psychologically broke down,” he says. “I felt I couldn’t handle it.” The following semester he dropped out and returned home. He didn’t give up completely, however. The following fall he was readmitted on probation. He began to build up his GPA, which is now a 2.7. 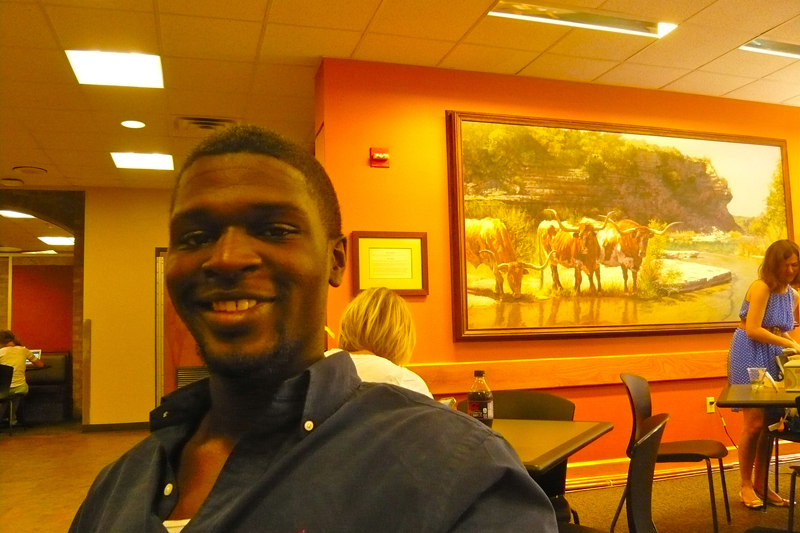 He dropped his aspirations of majoring in business and switched to African-American studies. His plan is to become a lawyer; he’s counting on getting a high LSAT score to make up for his low grades. He thinks his persistence in the face of obstacles proves he has what it takes to go far. Critics of affirmative action might look at Sowells’ story as an example of the inherent problems with racial preferences in admissions and argue that for many minority students, catching up in college after 12 years of substandard education in elementary and secondary school is too much to ask. We should start by reforming K-12 schools first, they say. UT-Austin administrators and their supporters at other institutions would likely disagree, but the school also complains in its Fisher brief that the Top 10 Percent plan takes away its discretion to decide whether the Sowells of the world are really prepared to succeed on its campus. The plan “‘hurts academic selectivity’ by basing the admissions decision solely on class rank, without regard to other standard markers of academic achievement and potential,” the university wrote in its Supreme Court brief. But Sowells himself sees his story differently. He thinks his UT-Austin diploma will give him a better start in life than a diploma from a less selective school like UT-Arlington—where only 42 percent of blacks graduate within six years—even if his grades aren’t as high. And if he struggled at UT-Austin, he says, it’s not because the school should never have let him in; it’s because it should have taken more responsibility for helping him succeed. He wishes someone had advised him against stacking up so many hard classes in his first semester, for example, or told him where to get assistance when he started to fall behind. “I think they could have done a lot more to help me,” he says. As the court’s frequent swing vote, Justice Anthony Kennedy will most likely decide the outcome of the Fisher case. 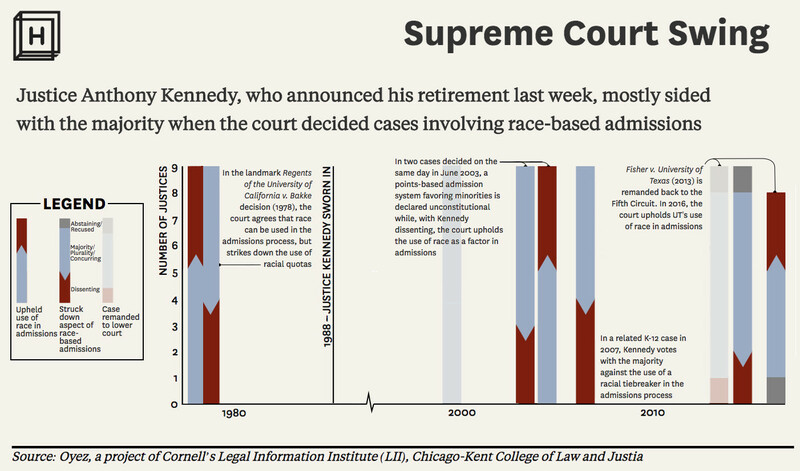 Kennedy has been wary of affirmative action in the past—in particular, he disapproves of racial quotas. Unlike his more conservative colleagues, however, he has not been completely hostile to the idea of racial preferences. It’s possible that he will decide the Texas Top 10 Percent plan is sufficient to create some racial diversity and that additional efforts are unnecessary—a ruling that might have little impact on other institutions. But even if he does agree with the University of Texas—that considering race is the best, most efficient way to ensure a diverse student body—the school and other institutions in its class will still have work to do to make sure that that the graduates who go out into the world, ready to take up the reins of power, are racially diverse, too. This story also appeared in The Atlantic on October 10, 2012. Reproduction is not permitted.